A terrarium is a collection of small plants, particularly ferns and mosses, growing in a small, transparent and sealed glass container. It was invented in 18th century England by an English physician called Nathaniel Bagshaw Ward (1791-1868). 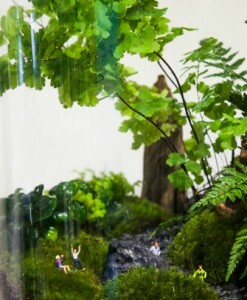 Terrariums are hence often referred as the “Wardian Case”. 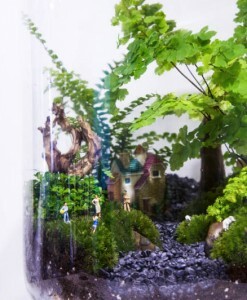 A terrarium provides plants with a closed environment where a micro ecosystem can be established. 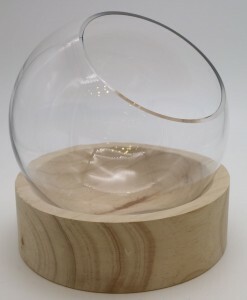 With only minimal maintenance, various important natural processes such as photosynthesis, respiration and water cycle can still manage to take place in the glass vessel. Ward once displayed a terrarium that had not been watered for 18 years at an exhibition, indicating the vitality and longevity of terrariums. The invention of terrariums improves the survival rate of plants on long sea voyages in 19th century England. Besides plant transportation in 19th century, terrariums have become a popular home accessory for both middle and lower classes Victorians. 1. Click “Add to cart” to put products of your choice into shopping cart. 2. Hit “Process to checkout” to fill out information required in the purchase form. 3. Choose payment and delivery methods. 4. Press “place an order”. You are welcome to pick up the product at Yau Ma Tei / Wan Chai MTR station for free. 2. For other delivery service, please contact us for more details. Products will be ready for pickup within 3 days after order placement. Our staff will contact you to discuss the details of delivery arrangement. Which payment methods are accepted in GlassFarm? Is there a product guarantee in Glass Farm? All ready-made and custom-made products come with a two-week guarantee. 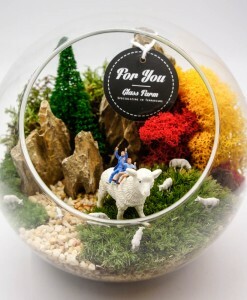 If the condition of terrarium deteriorates, we will collect it from you and offer free repair service. Can human figurines be replaced by other figurines? All purchases can have a selection of our human figurines. 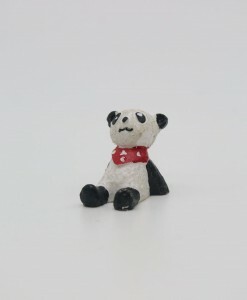 If you wish to change the figurines on your selected items, please contact us in advance.